1/ ensuring that all decisions made by the National Election Committee ( NEC) 9 members are made with 50+1 votes. The Chair does not have absolute power. It is the independent member who holds that power. Please note that CPP wanted all by having the Chair and giving him/her the final say. 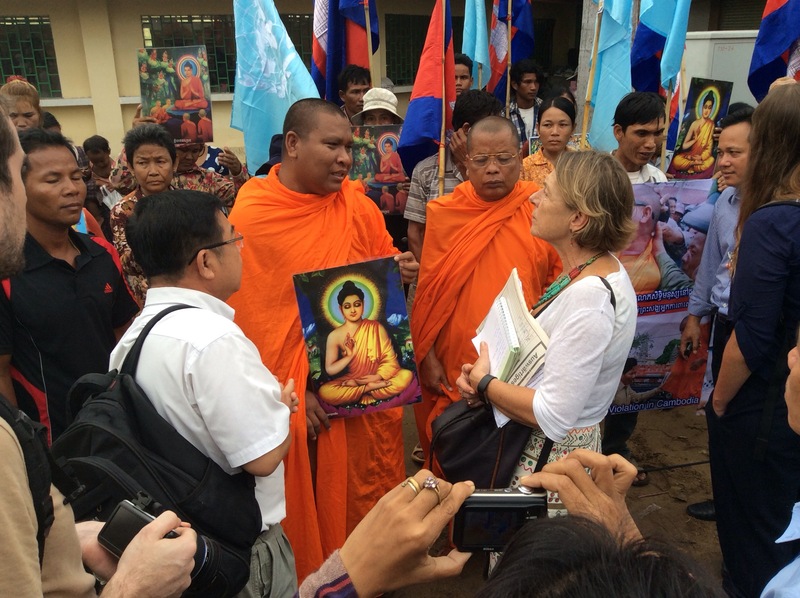 CNRP stood firm on its position. We got it. 2/ The General Secretary and deputy of the NEC are chosen through a vote of the 9 members. Again, the independent member has the final say, not the Chair. CNRP got what it wanted. These two clauses can help ensure the neutrality and indepence of the NEC. The specifics of the roles and functions of THE MINORITY LEADER will be spelt out in the AMENDED INTERNAL RULES OF THE NATIONAL ASSEMBLY. The latest agreement gives further recognition to The Minority Leader who holds the rank of Prime Minister. This is key in the power of The Minority Leader to act as an equal partner in negotiations. The Minority Leader shall have the duty and power to report to The Head of State – His Majesty The King, as the Prime Minister and CNRP will fulfill this duty diligently. Please rest assured that President Sam Rainsy, The Minority Leader will not be the 2nd PM as during the FUNCINPEC led govt. The official deal is made for CNRP to have its own TV and radio stations. Both parties came to the middle ground by requesting member(s) with dual citisenships to suspend their non-Khmer citizenship while serving their NEC functions. CNRP made no ” major concessions” on election reforms as reported by the media. We believe that the nation has gained significantly through these careful negotiations. It is no longer Winner Takes All game but shared power with transparency and accountability. At the end, it is the people of Cambodia who will be protected by the strengthening of the principles of democracy. We have seen the efficiency of The Minority in the short period that CNRP has led five of the ten parliamentary commissions. At least 7 ministers have been questioned, the people are free to file complaints and each complaint is received and investigated and the people are invited inside the National Assembly, treated with respect and dignity. Through the power of these commissions, the Buddhist Institute has regained its full space from the Naga Casino; the remaining residents of Borei Keila and Beung Kak Lake will be considered for land titles; Sok Kong monopoly of the entrance fees to Angkor Watt is put into question; the Areng Valley is closely monitored against the possible construction of the Chinese dam; economic land concessions in Koh Kong are questioned moving towards some form of review; the heavy presence of a Vietnamese Shrine in Bokor Mountain will be investigated. Two days ago, CNRP shook the power of the CPP with the 10-hour long budget law debate. It barely passed with 65 of the required 62 votes. CNRP gave a big NO as we see that the govt. can make at least another US$ 1 billion revenue with better tax collection, stronger attack on corruption. With the extra revenue Cambodia can keep its debts from increasing. Loans should be well spent, in priority areas. The priority sectors which are health, education and agriculture should be of higher investment, productive and direct investments in our human resource development. President Sam Rainsy also negotiated for the release of the 19 and we believe they will be free soon. President Sam Rainsy has called for a culture of dialogue and so far he has been able to bring the other side to have frank and equal footing dialogue. His far sighted belief and commitment to this culture of dialogue is and non-violence is a slow process but he has achieved in making some significant cracks in changing mindsets. National reconciliation and a peaceful transfer of power after more than two decades of the same ruler does not come over night. Only through free and fair elections can democracy be sustained. The National Assembly First-Vice President, Kem Sokha has a respectful presence in the Legislative, and addresses the people in his new capacity by attending MEET YOUR REPRESENTATIVES public fora, every week, throughout the country. He opens the National Assembly’s doors to the public, such as the youth, trade unions, civil society groups. We will continue to work harder to fulfill our duties and to stand tall as proud Representatives of the People. We will continue to appeal for Solidarity among Khmers. We are deeply grateful and inspired by the continued support inside and outside Cambodia. The taste of the change that we want is already with us. The next 3-4 years will be challenging but the road to democracy will be more travelled. Hear the words of Ven. Loun Sovath in front of the Municipality Court, yesterday. 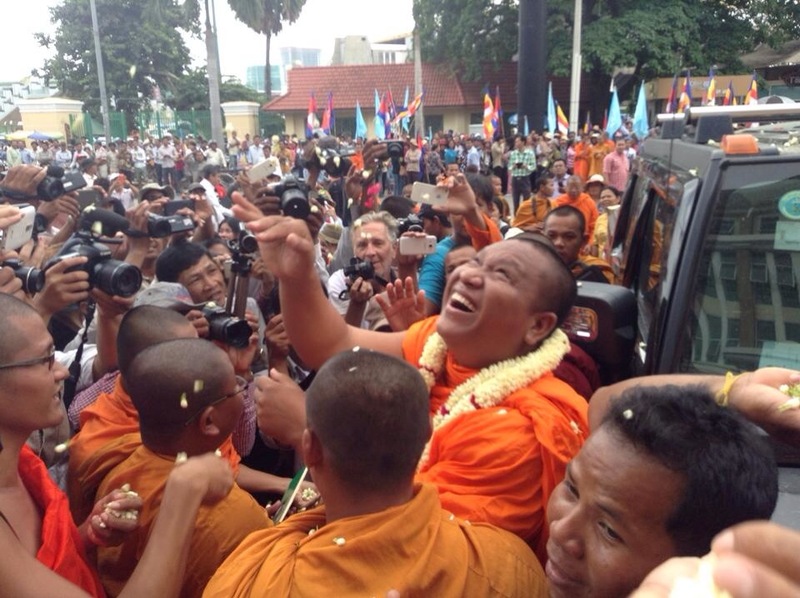 In 2011, Venerable Loun Sovath, an Award-winning Buddhist monk was questioned by the Court of Phnom Penh. His case was linked to the case involving the People Power Movement. The leader was accused of terrorism and his members ate now serving time in prison. 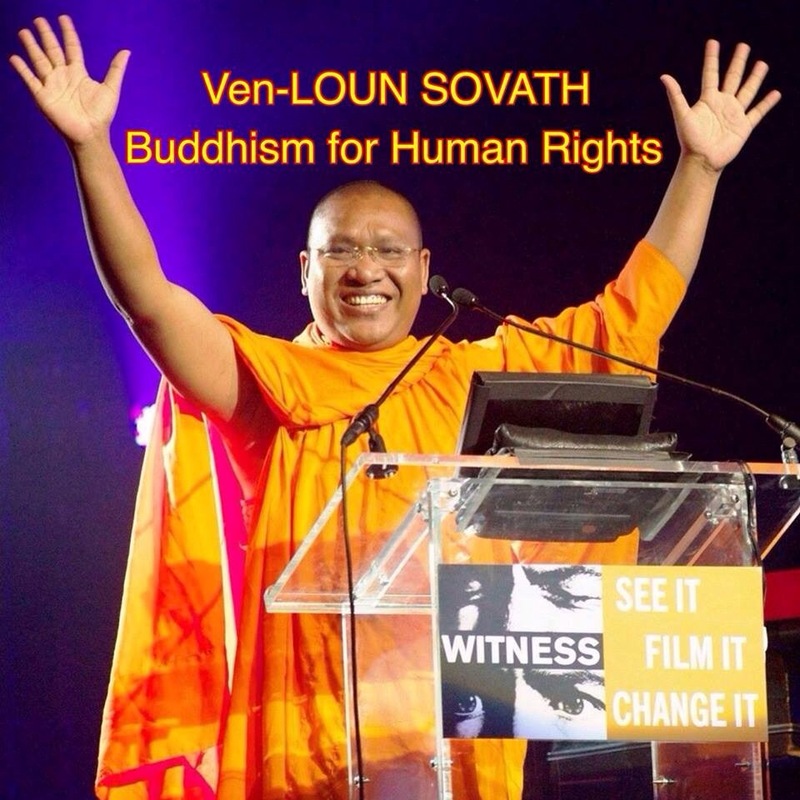 However, The Couryt found no evidence against Venerable Loun Sovath but they refused to drop charges. In 2012, the prosecutor asked to get the two cases separated. The judge announced this morning that Venerable Loun Sovath’s case should be separated from the People Power case, therefore he should not have been invited for a trial. It was just a technical error. Again, the judge declined to accept the dropping of charges against Ven. Loun Sovath. It is no “technical error” but a complete case of intimidation with a clear message to dissidents that even your high monk can not escape the Courts. The govt. Continues to fail to deal with the real issue: to return the land to the people. Venerable Loun Sovath after 2 hours in the Court room where there was no trial. Free for the moment but the charges continue to be a threat to his activism. 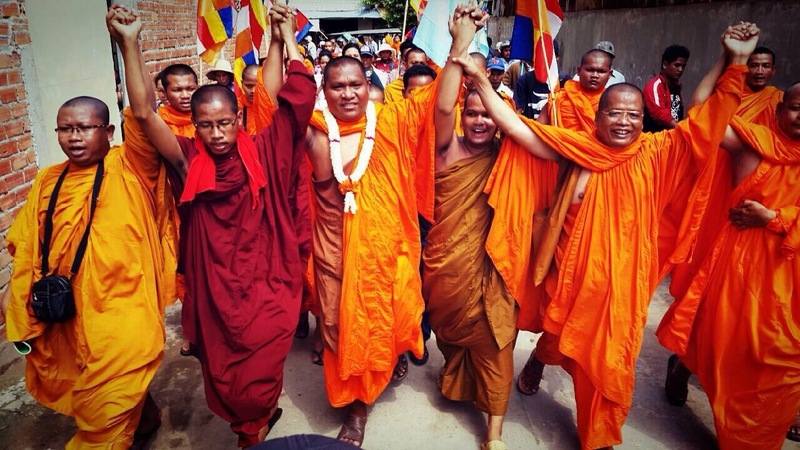 Will There Be Another Buddhist Monk Defrocked? It will be a real miscalculation by the ruling party if Ven. Loun Sovath is found guilty by the Phnom Penh Court. Show your support by coming to the trial tomorrow at 7.30 am. On 14 October 2014, in front of the National Assembly building, Labor and Vocational Training Minister Ith Sam Heng promised workers from Huy Chean factory that they would not lose their severance pays (please watch the video below). However, as of today, more than 1,000 workers from that factory have yet to receive their legally due severance pays and, moreover, they are facing layoff. The Taiwanese-owned Huy Chean company manages a factory located in Phnom Penh’s Chbar Ampov southern district that produces shoes for German distributor Puma. Three months ago, the company changed its name to Chean Luck, pretending that its predecessor Huy Chean has gone bankrupt. In fact, it’s the same company, with the same owner doing the same business. The company owner resorts to such a trick to avoid paying taxes because there is a five-year tax exemption for any new company and Huy Chean has been operating for more than five years already. In order to enjoy another five-year period of tax exemption, the company owner must pretend that a new company named Yin Luck has been established in lieu and place of the old company named Huy Chean. With the fake bankruptcy and the fraudulent name change the company owner can fire workers and/or deny any seniority rights (including severance pays) to those workers from the “old” company who would not be recruited by the “new” company. When the Labor is not enforced, employers will continue to find ways to prolong what they owe to the workers.